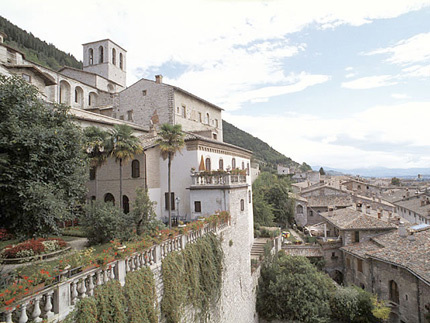 Gubbio was founded by the umbri in the III century B.C. and its political and religious importance is attested by the famous iguvine tables, which are fundamental documents for umbrian language.. In the big square there are the medievals Palazzo dei Consoli, the Palazzo del Podestà and the neoclassical facade of Palazzo Ranghiasci. On the hillside we can visit the dome and opposite we can see the Palazzo Ducale, erected in 1476-80 by Francesco di Giorgio Martini for the Duke Federico da Montefeltro. In the lower part of the town there’s Piazza Quaranta Martiri with the Loggia dei Tiratori, built in 1603, and the church of Santa Maria dei Laici. 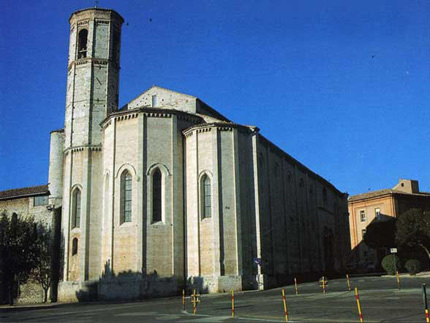 On the opposite side of the square we can visit the church of Saint Francis. In the western part of the town there’s the Largo del Bargello with a pretty circular fountain. “The Fontana dei Pazzi” and a typical medieval palace. 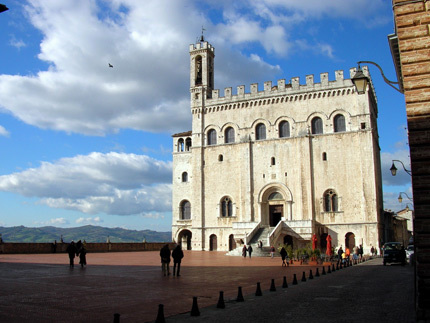 Outside the walls there’s a roman mausoleo and the church named “della Vittorina, built in the place where St. Francis tamed the wolf of Gubbio. Above the town on Monte Ingino (817m), from which there’s a superb panorama, there’s the church of San Ubaldo. 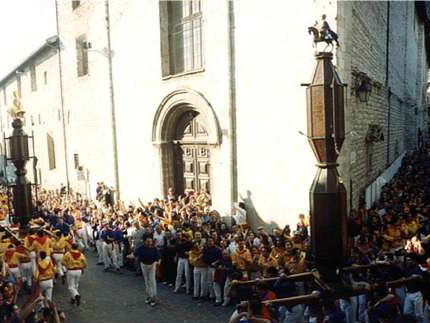 In Gubbio takes place one of the most interesting annual festivals: the “Festa dei Ceri”. This event has pagan origins and it’s held every 15th May to celebrate the patron saint and bishop Ubaldo.